GENERON ships large Skidded Nitrogen Membrane System to Shetland Gas Plant at Sullon Voe, Shetland Isles. This system will be used for the Laggan-Tormore Development Project. 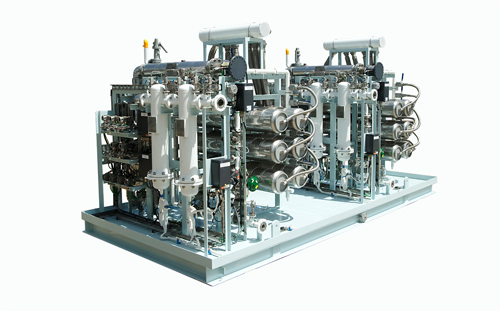 The skid system includes two identical membrane systems each producing the amount of 410 Nm3/h of nitrogen at 97% inert gas purity. The application is for blanketing and purge gas to the onshore gas process plant. This Nitrogen Membrane Generator was designed and built to customer specification and classified with a Safe rating. System was designed to CE/PED and ATEX operating certifications. This membrane system was manufactured in Houston, Texas, at GENERON corporate headquarters. All vessels were engineered and fabricated by Houston Vessel Manufacturing.